Thought Balloons - Creating Comics One Page At A Time: Why Optimus Prime? In popular culture, especially surrounding comics, there are two particular individuals that stand out as champions of truth and justice (and the American way) – Superman and Captain America. True leaders who inspire those around them, they can regularly be counted on to do the right thing and to stand up for those who can’t. And if you find yourself in a situation where they fail to live up to this standard, you can automatically tell that something has gone very, very wrong. And if I may, I believe there’s another individual who’s worth of standing alongside these classic icons – Optimus Prime. While he doesn’t have the same history as Superman and Cap, what with Transformers only having been around since the 80’s, it’s hard not to look at Prime’s resume and see the parallels between him and the two more established icons. 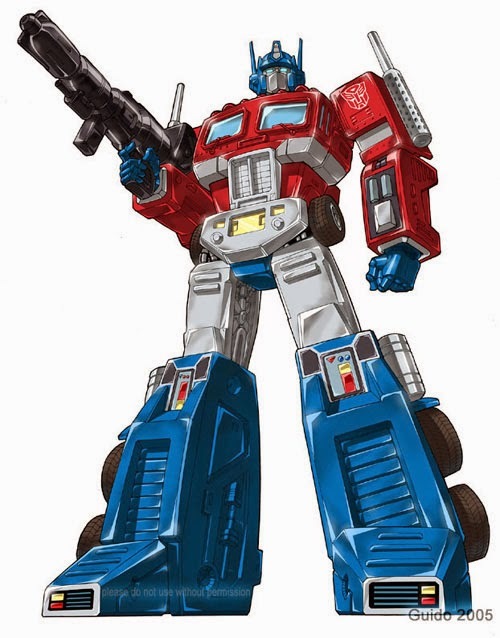 Classically coming from humble origins as Orion Pax before being chosen for greatness, Prime arrives from a distant world to protect a people that he could just as easily lord over if he weren’t such a heroic individual. Which becomes even more impressive when you consider all he’s willing to sacrifice in order to keep protecting them. And he continues to do so even in the face of challenges that would break the spirits of lesser individuals. And by doing so, he inspires those he leads to stand with him against such challenges as well. They’ll stand up for those who can’t longer than should be possible. And as long as they do, the fat lady won’t be singing anything anytime soon. From “TRANSFORMERS VERSUS TERMINATOR”, Issue One. (Which, by the way is such a cool idea, I’m a little angry it doesn’t exist.) Sarah Connor is hitchhiking through Mexico. A tractor-trailer has pulled up alongside her, and she has just opened the door to get in. 1. Sarah, holding open the door to the truck, looks up and into the cab, which is obviously, and curiously, completely devoid of a driver. 2. Continuation of previous. Sarah has let go of the door, and is rearing back from the cab of the truck in shock and horror as the “empty” truck begins to speak to her. OPTIMUS PRIME: Please get in, Sarah Connor. 3. Sarah falls back into the dust and sand on the roadside. She pulls her duffel bag across herself and grasps about inside desperately, searching for her gun. SARAH CONNOR (1): Oh GOD! 4. Sarah has drawn her gun, and points it at the truck. OPTIMUS PRIME: Please, Sarah. We don’t have much time. SARAH CONNOR: WHAT ARE YOU? 5. Focus on Sarah. She stares, mouth open in amazement, letting her gun ever so slightly waver away from target. She is in complete shock at what she is witnessing. A shadow falls upon her, the shadow of a truck transforming into a robot. OPTIMUS PRIME: I am not here to hurt you, Sarah. I’m here to protect you. 6. Optimus stands before Sarah, fully transformed. He extends a hand out to her. Over his shoulder, we can see the silhouette of a pair of jet fighters in the distant sky. 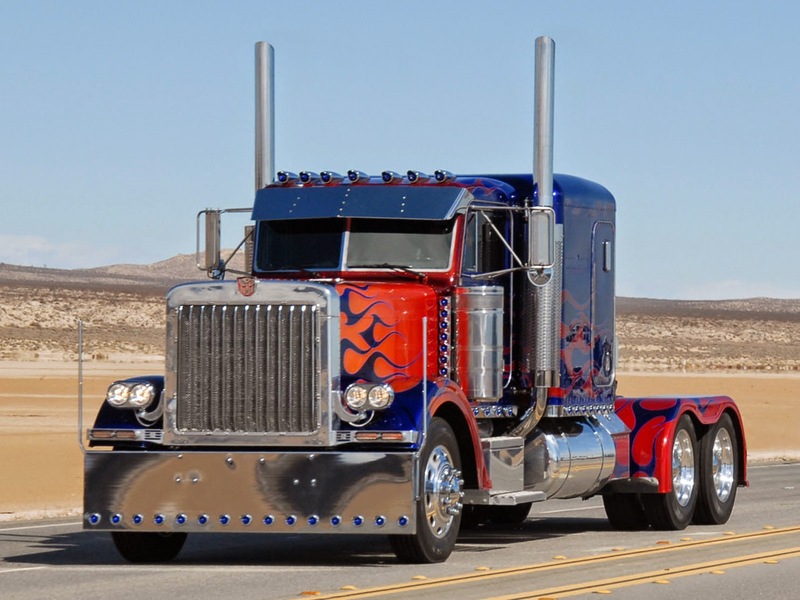 OPTIMUS PRIME: Come with me, if you want to live. 1) It's always good to see a new face, always better to see someone getting involved with the play at home scripts. So WELCOME TO THOUGHT BALLOONS! 2) Fun concept and I like the idea of where it could be headed, even if I had to groan at the near-prerequisite inclusion of that line at the end. Hey Travis, that's one well constructed script! Like MK I had to groan at the last line, but completely understand why.